It's a big game when The Art The Art The Art provides the Michigan masses a wallpaper for the week leading up. 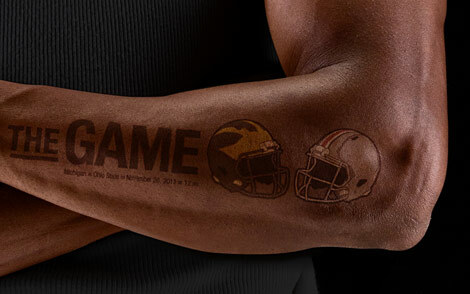 He truly brings it with his 2011 Michigan - Ohio State edition. Aptly called "Inked". Awesome work. Click here for all the various sizes to download.